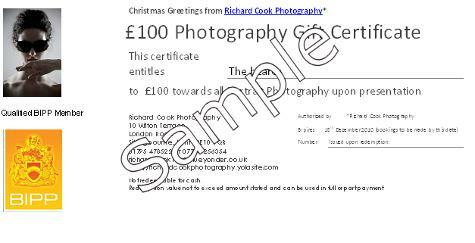 We are now selling Gift vouchers for use as full or part payment towards any kind of portrait photography. So if you're stuck for buying somebody a gift, why not purchase one and the recipient can book a session? They are available in denominations of £20 to £200 and can be redeemed at any time.